Smith, Kevin L. Owning and Using Scholarship: An IP Handbook for Teachers and Researchers. American Library Association, 2014. 240 pp. $54.00. ISBN: 978-083898747-6. Crews, Kenneth. Copyright Law for Librarians and Educator: Creative Strategies and Practical Solutions. 3rd ed. American Library Association, 2012. 192 pp. $59.00. ISBN: 978-0-8389-1092-4. Butler, Rebecca P. Copyright for Academic Librarians and Professionals. American Library Association, 2014. 278 pp. $82.00. ISBN: 978-0-8389-1214-0. Russell, Carrie. Complete Copyright for K-12 Librarians and Educators. American Library Association, 2012. 172 pp. $52.00. ISBN:978-0-8389-1083-2. For academics at all levels, who are always both consumers and producers of intellectual property, it is important to both know the current law and what is permitted under it and to develop a deeper understanding of IP history, concepts, and trends. Academics need to be able to function within the law as instructors, writers, and advisors, but they also must be able to defend the gains made so far and intelligently advocate for the changes that will best benefit teaching, research, and creative activity in the future. Understanding the changing landscape of scholarly publishing is now as much a part of this essential skill set as knowing what is permitted in the classroom and how to make decisions about citing the work of others. Yet these topics are, alas, not usually part of graduate school instruction (and even if available, not required), and academics wind up making choices that imperil their rights to their own work, hold back their research careers, or put them at risk of litigation when using the work of others. Fortunately, there are books like this group of four, all from the American Library Association, that are ideal guides to this intimidating territory. Kevin L. Smith has long been one of the most reliable and articulate voices in the academic and library copyright arenas. With Owning and Using Scholarship, he has written a beautifully-organized primer suitable for anyone working in higher education, which delves just deeply enough into the caveats and complications of copyright law, trademarks, patents, contracts, and licenses to be informative but not overwhelming. The aim of this book is “to facilitate [the] day-to-day activities that scholars engage in, including the creation of scholarly works, teaching, and publication” (19). Smith lays out one of the fundamental problems with copyright from the start: copyright law as currently encoded is fundamentally about the concept of creating economic incentives, which does not always “fit comfortably with the needs and concerns of scholars” (2). As Smith explains later in the book, “[T]he rewards for academic authorship come from a system that is entirely separate from, and almost alien to, the economic rewards that are the incentive of commercial creators” (135). What is more important to academics than economic reward, which is provided mainly by salaries at their institutions, is wide exposure of their work among their peers and proper attribution of their work, both essential for taking part in the scholarly conversation. This is at odds, then, with “legal rules based on analogies with personal or real property” (3)—which don’t hold up well to scrutiny, because “intellectual property is not diminished as it is distributed” (13). As Smith further observes, copyright does not always make sense in the “economy of abundance” the Internet makes possible (14). But this is the system we must live with at present, so it behooves us as users and creators of knowledge to understand it. Smith starts with the basics—copyright exists as soon as something is fixed in tangible form, it protects the expression of an idea and not the idea itself, material freely available on the Internet is most likely copyrighted, publishing is made possible by assigning certain elements from the bundle of author’s rights to an outside party, and so on. After an introductory chapter laying out some of the basic contemporary issues, Smith begins a technical and legal review of copyrights, patents, and trademarks, and how they are likely to be encountered and used in academic settings. He goes on to consider legal aspects of ownership of IP, including the more complicated cases of joint authorship, work for hire, and implications for newer forms of scholarship and teaching like data mapping projects, MOOCS, and so on. Is the work I want to use subject to copyright protection? Is there a license in place that governs my proposed use? Is there a specific exception in the copyright law that allows my proposed use? Is my proposed use a “fair use”? Smith demonstrates why and how to work through these questions in this particular order, always keeping in mind the basic principles of “good faith and reasonable analysis of risk” (84), as well as considering how you would react if someone were to use your own work in the manner you propose. Guidelines and best practice codes are discussed as ways of providing “safe harbors” in areas particularly open to interpretation. The third key foundation for a solid understanding of copyright in academia is understanding your own rights as a creator and how to best leverage them throughout your career, which is too frequently neglected in books of this type. Chapter five is about managing and disseminating your own intellectual property and covers topics such as the deficiencies of the traditional publication model, reading and optimizing your publication contract to preserve your own best interests, the advantages and disadvantages of open access models, self-archiving and direct-to-web publishing, and impacts on the tenure process. Smith provides checklists of the pros and cons of traditional publication in a subscription-based journal, in a wholly open-access journal, in a hybrid open-access journal with a traditional publisher, through green open access (self-archiving after traditional publication), and by direct web distribution. While the reader needs the foundation of the earlier chapters to fully grasp the nuances, this chapter alone is worth the price of the book for writers and researchers, particularly for the advice on reading contracts. The final chapters deal with issues of database and program licensing, technological protection measures, Creative Commons licensing, text mining, orphan works, and international copyright. This last was particularly interesting; I have not encountered another copyright book that presented this information in its proper context and in such a concise and informative manner. Smith writes in conclusion, “For better or worse, it is no longer possible to ignore the environment created by [intellectual property] laws or to assume that scholarly pursuits will always be allowed in precisely the way we would like to proceed” (216). Armed with this book, academics can better understand their current rights and the interests of parties that would limit them, and develop better-informed practices and opinions about intellectual property. When a textbook has gone into a third edition, the author has had time to work the kinks out, refine sections that weren’t working, and update information and interpretation when necessary. Kenneth Crews is another of the major names in library and academic copyright; his form for making fair use assessments is a staple of copyright education workshops and I have used it myself for many years. Copyright Law for Librarians and Educators is a compact copyright course in a book. In the opening sentences Crews promises a “graceful and systematic walk through the principles and functioning of copyright law” (1). This book is well laid out and Crews provides a good outline for getting a grasp on copyright with realistic scenarios, boxes highlighting important information, charts, checklists, and templates (the famed fair use checklist IS included). There is a guest chapter on music and copyright, and an overview of the special exceptions for libraries that would make an extremely useful introduction for the non-librarian seeking to understand the limits of what libraries can provide. A particular strength is the chapter on the use of archives and unpublished materials in teaching and research, an important topic not as well covered in the other books under consideration here. There is also a very useful chapter on seeking permission from rights holders, as well as an excellent model permissions request letter. Rebecca Butler’s Copyright for Academic Librarians and Professionals, alas, suffers somewhat in comparison. Her writing style is too much like a classroom transcript (far too many sentences starting with “Well,” for one thing) and her flow charts for copyright decision-making are often either too simplistic or needlessly complex (and sometimes, I feel, inaccurate or poorly proofread). I am somewhat disturbed, for example, that she left consulting the appropriate professional organizations’ Codes of Best Practices off her list of ways to avoid copyright problems (234) and neglected to mention the specific exemptions for organizations providing disability services in converting materials for visually and physically impaired users (197-198). However, as she points out, not all copyright authorities agree on their interpretation of the laws, codes, and guidelines (237), and having her book on the shelf to provide a slightly more conservative interpretation may be a good strategy. Like Carrie Russell, below, Butler lays out very specific examples of uses educators may want to make of copyrighted material. Her section on “How and Why to Teach/Train Students, Colleagues, Administration, and Others About Copyright Law” (236-238) is a useful call to arms, and as she observes, “For some reason, once you become an adult, it is assumed that you will—by osmosis?—know when you are infringing on an owner’s copyright and when you are not, as well as how to tell the difference. Obviously, nothing is further from the truth” (236). Indeed. Carrie Russell’s Complete Copyright belongs on the office shelf of every K-12 librarian and administrator and would not be the least bit out of place in most higher education offices, either. It is clear, reassuring, and up to date on the recent shift we’re seeing away from adherence to strict guidelines and in favor of transformational use. Russell mixes a factual review of copyright code, a summary of current thinking and case law, and true-to-life examples of situations likely to be encountered in today’s K-12 schools and libraries. She goes well beyond simple questions about classroom handouts or showing movies and concentrates on new media, services to the print-disabled, and extracurricular activities like performances and clubs. Copyright, as she frequently reminds us, can be a confusing and sometimes scary topic, and there are misconceptions on all sides. “Copyright never catches up to technology,” as she observes; “Consistency can be found only in our dedication to professional values” (vii). One thing she is very reassuring about is the possible consequences of infringement, and the protections available to educators against litigation and damages. Russell places great emphasis on the desirability of doing a four-factors analysis rather than relying on the guidelines we have long been trained to use, which are for the most part outdated, have not kept up with technology, do not have the force of law, and do not reflect the current legal climate. Reliance on guidelines can lead to an overly conservative interpretation of copyright, so while doing a four factors analysis for everything one wants to use is more of a challenge, it is far more technology-neutral and, in current interpretation, more supportive of the actual aims and needs of education. All of these books are worthy introductions to the topic of copyright in higher education; all provide a decent overview of current law and most provide useful appendices like texts of the law, checklists, forms, bibliographies, web links, and definitions of terms. I have spent the most time on Kevin Smith’s book here because, if you must choose only one, I believe it is the best choice for academics who are also writers and researchers, covering as it does the general rules and philosophy of copyright, how to fairly use the works of others in the classroom and in research, and how to figure out the best way to both protect and disseminate one’s own research when faced with today’s variety of publishing choices. You could try osmosis – but sitting down with one or more of these books, highlighter and pen in hand, is a far better choice. Janet Brennan Croft is Head of Access and Delivery Services at Rutgers University libraries. She earned her Master of Library Science degree at Indiana University in 1983. She is the author of War in the Works of J.R.R. Tolkien (Praeger, 2004; winner of the Mythopoeic Society Award for Inklings Studies) and several book chapters on the Peter Jackson films; has published articles on J.R.R. Tolkien, J.K. Rowling, Terry Pratchett, Lois McMaster Bujold, and other authors, and is editor or co-editor of many collections of literary essays, the latest being Baptism of Fire: The Birth of British Fantasy in World War I (Mythopoeic Press, 2016). She has also written widely on library issues, and is the author of Legal Solutions in Electronic Reserves and the Electronic Delivery of Interlibrary Loan (Haworth, 2004). She edits the refereed scholarly journal Mythlore and serves on the board of the Mythopoeic Press. Croft, Janet Brennan. “Copyright for Scholars: Osmosis Doesn’t Do the Trick Anymore.” Dialogue: The Interdisciplinary Journal of Popular Culture and Pedagogy, vol. 4, no. 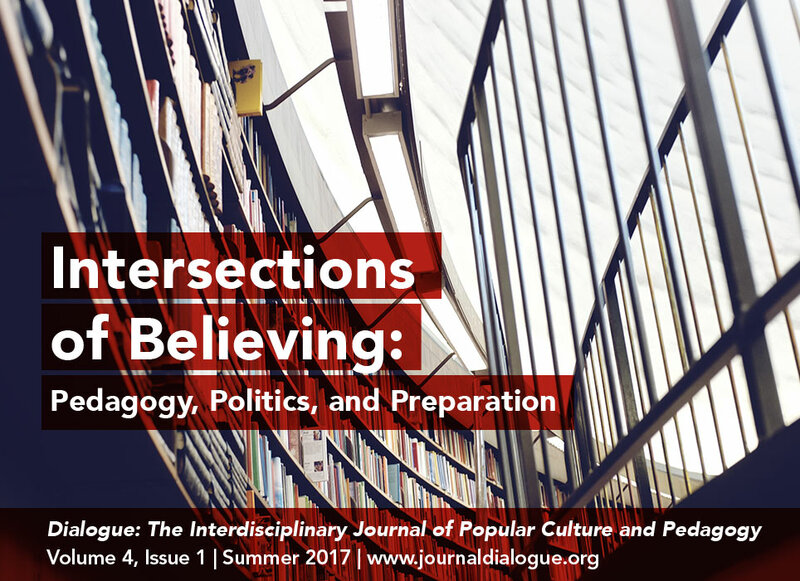 1, 2017, http://journaldialogue.org/issues/v4-issue-1/copyright-for-scholars-osmosis-doesnt-do-the-trick-anymore/.